Discussion in 'Radicons Customs' started by hXcpunk23, Aug 1, 2010. Had a cool idea for a WFC Hot Rod/Rodimus, so I thought I'd give it a go. After seeing Marcelo Matere's artwork for the DS game version of the character, I knew I had just the parts for this. 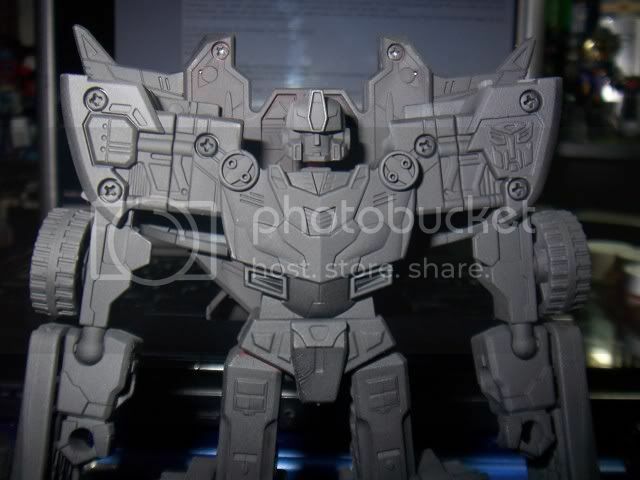 I took a Cybertron Hot Shot and removed the head. I then took an extra Energon Rodimus head and cut the ball joint post, leaving the ball joint and post on a thin platform. 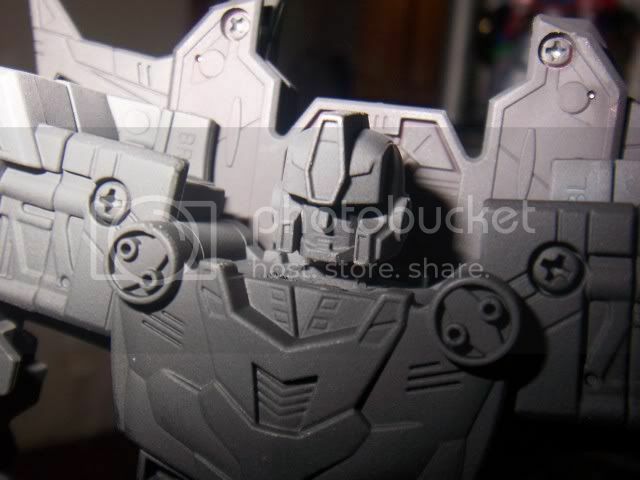 I then glued it into place where the old Energon Hot Shot head was. The head is on it's original ball joint and still fits easily in alt mode. While the figure won't be exactly like the artwork, it certainly does have that vibe (I'll post a shot of the artwork with what I have so far). This is planned for ebay, unless I get an offer I like before hand. 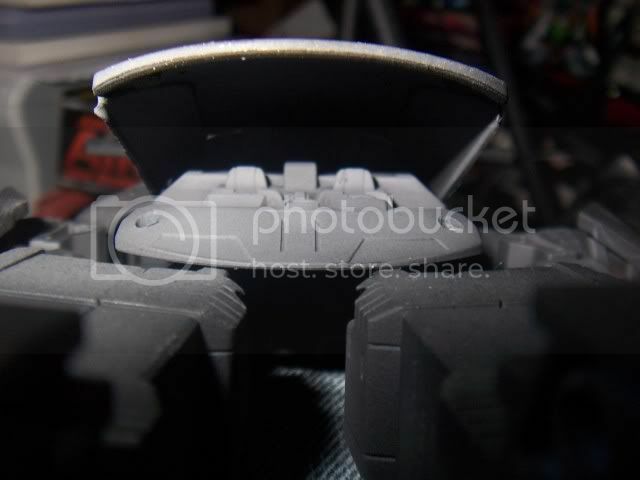 I'm still sanding some rub areas and planning a recoat on the jointed areas (ball joints and shoulders mainly). I did do some modding to the interior section. I cut and shaved a bit, then drilled out the plastic tabs that held the windshield in place. Then I cut the windows from the doors and glued them to the windshield. With the mods, the windshield now opens and you can view the seats and steering wheel--which will be detailed also). I can't help but think how brilliant this is going to be. I already want it. While it does not look very much like the concept art, it is a very cool substitution! Are you going to try and add details to more closely match the art work? Cool! 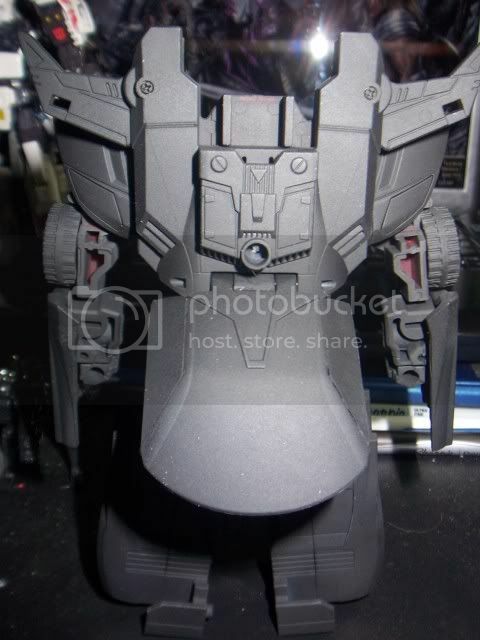 I might try this one my self since i have an extra Rodimus head with no body. Good luck on that car mode though! Yeeesh! Love, love, love, WFC customs! Can't wait for this to be finished! Wow, I knew WFC Rodimus looked familiar. I do find it amusing that it is the Hot Shot mold when Hot Shot was basically Hot Rod and Bumblebee combined in the Armada. I am going out this weekend and picking up another Hot Shot toy to do this too. Luckily I am in a place where I can pick up BNIB Cybertron toys for retail price. AH HA! You're not the only one, my friend! hiii yah! Oh SUUURE ensure the guys gets what the figure will actually be worth! This is going to work out pretty good Punk...I like the head swap, it works perfectly! can't wait for this, B! yeah, i really like that. very creative! sup on some altmode pics? Wow you wanna know whats creepy. I was on my way home coming back from TRU and bought the WFC Optimus and Bumblebee and was wondering if they were gonna make a WFC "Hot Shot" Hot Rod. 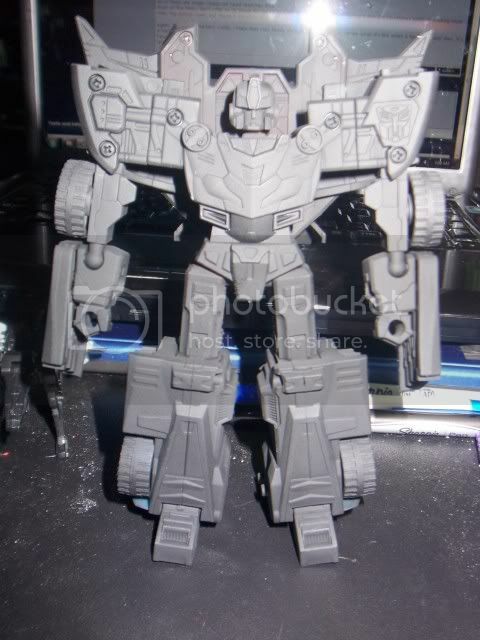 I thought that the Cybertron Hot Shot looked like him and now your making this. Awesome job dude, very awesome job. Can't wait for the final result. Nice! I'm really looking forward to seeing how this turns out! I've been thinking about moding my Cybertron Hot Shot to look a little more like a Cybertron Hot Rod but was just going to scrape away a few tiny bits off the existing head - but that Energon Rodimus head really looks great on that mold! Also I've actually got two questions on your priming method if you don't mind. First, what paint is that you used? 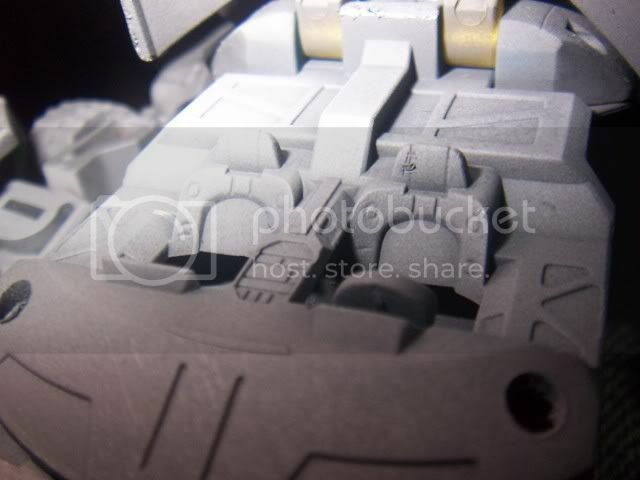 Also I noticed the paint covers the screws - do you paint the bot whole, in otherwords did you not take him apart (or maybe just at the ball joints)? I haven't gotten around to painting a whole figure yet but was under the impression it's best to take it apart and paint the parts separately. But what you did here looks pretty solid (and seems like it'd save a lot of time!). Do you just move the joints around between layers? Thanks!